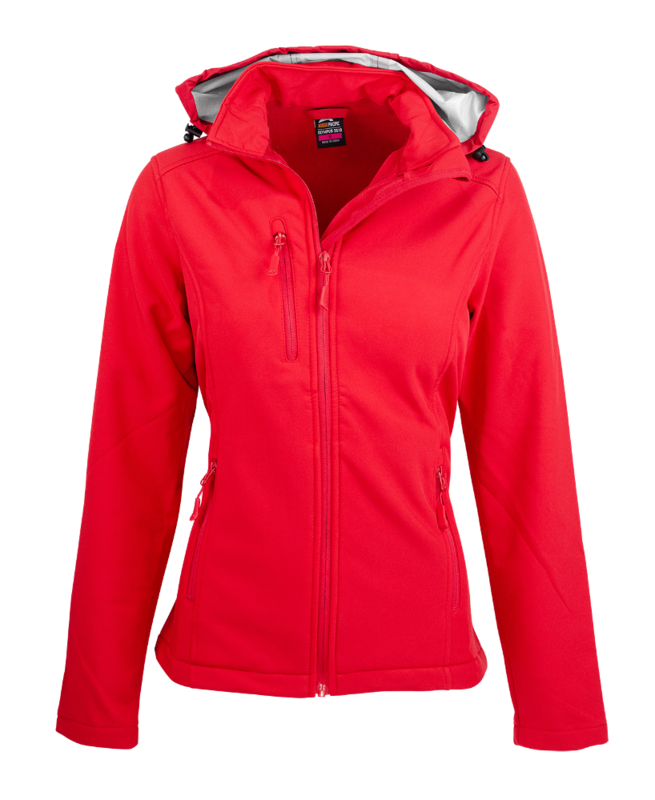 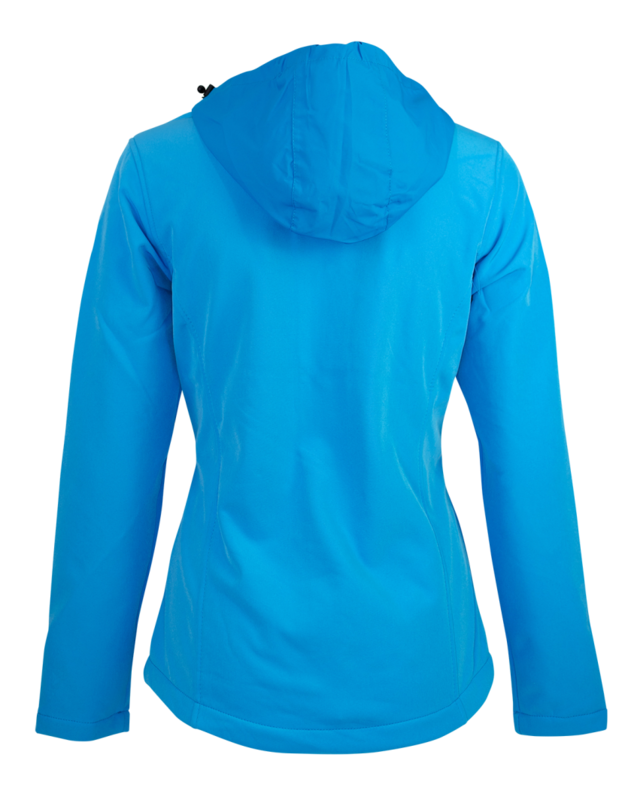 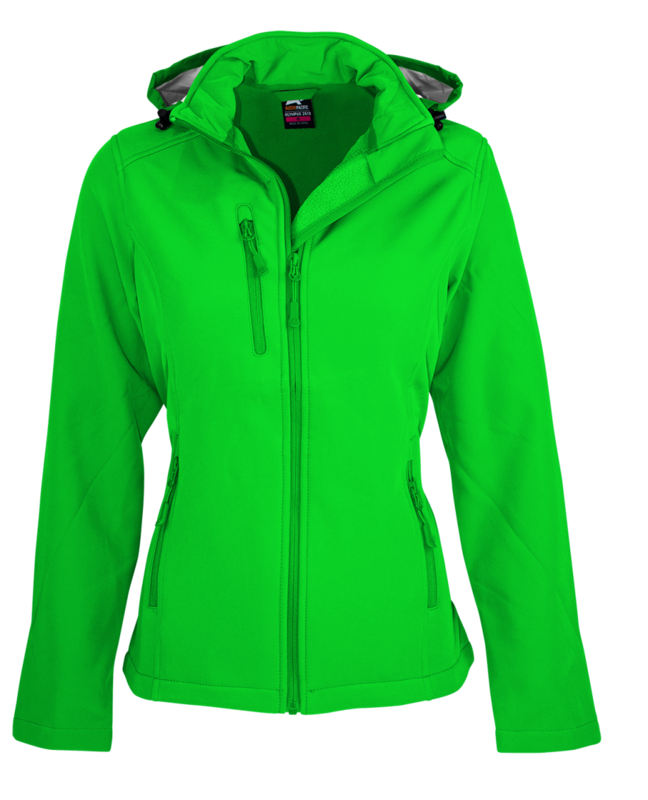 Fabric is a 320gm 3-layer performance softshell. Outer 95% polyester 5% elastane Inner 100% polyester bonded fleece. 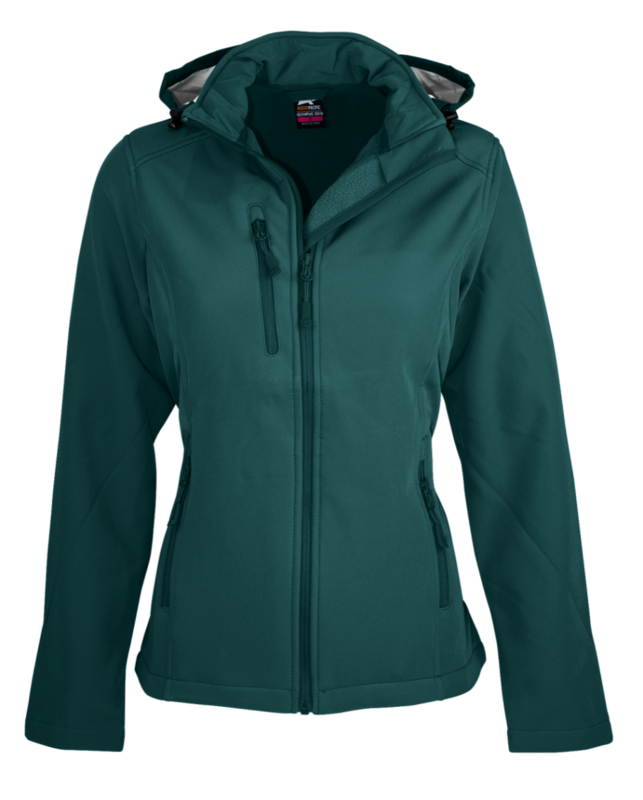 Medium water repellent and wind resistant finish. 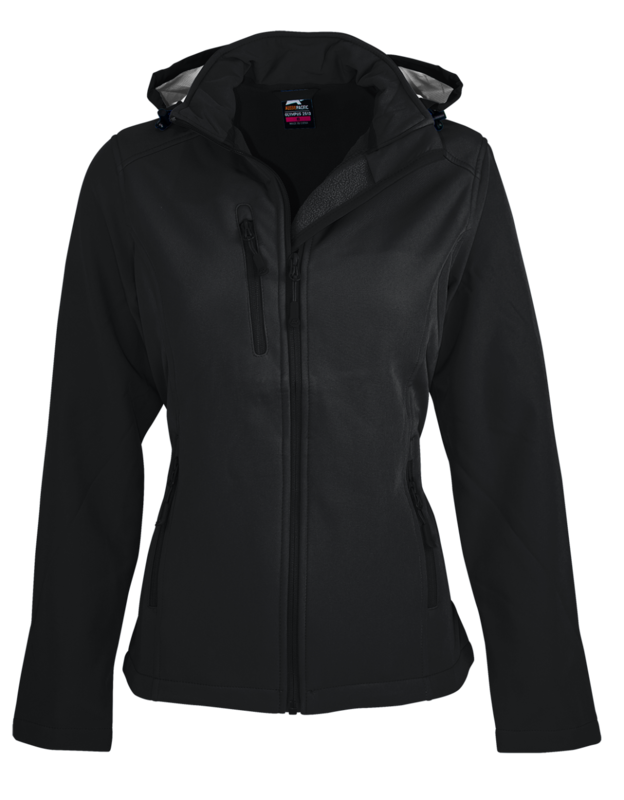 2 side zip pockets and 1 chest zip pocket. 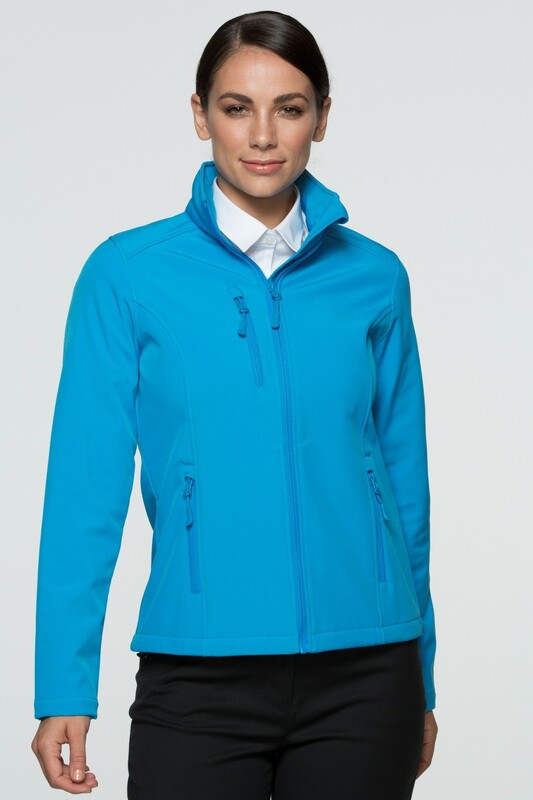 Tone on tone changable zip pullers. Also available in mens and kids styles.